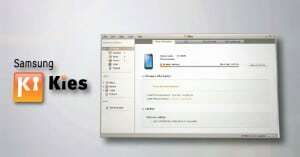 The Samsung Android system can be restored using KIES application. The application is used when your system fails to complete an upgrade and your device is not functioning properly. You will restore the latest version of Android which your system used. The feature is available for all devices. Keep in mind that the process will delete all your data and you will never recover it. Save your important data before you proceed. First, you will open KIES and tap Tools and then Firmware Upgrade and Initialization. Then, you will have to enter yours device name. The information can be found on the back of the device or under the battery. Make sure that you enter the name of your device with all Caps. Now, you will need to enter the serial number found near the models name and tap next. The application will now verify if it is available for your device. If it is, tap OK.
Now, you will be informed that all your data will be lost and you will be asked for confirmation. The feature is now downloading and preparing the update for your device. You will have to confirm to any request from the process of installation. Follow the steps to prepare your device for emergency recovery. Mark the check box next to I have read all of the above information. Select your desired information saving option regarding sharing this update with Samsung. Connect your device to Kies when you have activated download mode. When your device is in the correct mode and connect to Kies, the Start upgrade button is available. Click Start upgrade to reinstall the firmware. Now, you will have to wait for the process to complete. Tap OK when the process is finished.